Kettgen, John A. a resident of Rainbow Springs, Dunnellon, FL went to be with the Lord on Thursday November 22, 2018. John was born in Queens, NY to Claire and Arnold Kettgen on June 5, 1943. He served in the US Army as Surveyor from March 1965 to March 1971. He graduated from New Jersey Institute of Technology in 1978 and worked at Singer Kearfott and ITT for over 35 years as a Quality Control Engineer. 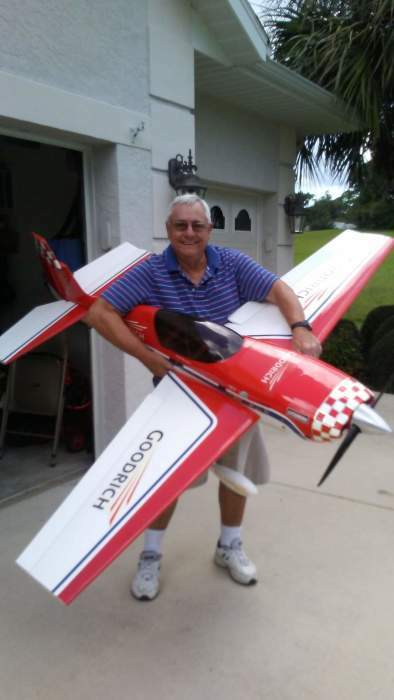 He retired in 2008 and loved to fly radio-controlled airplanes and was Secretary of the Tri-County RC Club in Dunnellon. He is survived by his loving wife Ruth, a son Greg Kettgen and his wife Audra, a son Jeff Kettgen, a daughter Laura Kettgen, one sister Jane and her husband Jim McGouldrick, a brother and sister-in-law George and Madelyn Link, and numerous nieces and nephews. A memorial service will be held at 11 am Tuesday, November 27, 2018 at Springs Presbyterian Church-1060 West Withlacoochee Trail, Dunnellon FL 34434. A luncheon will follow. In lieu of flowers, memorial contributions may be made to the Missions at Springs Presbyterian Church or the Covenant Children's Home in Dunnellon.